Dear Coach Kameel, Thanks again! Love the saddle! I will send you the money and saddle at the beginning of the week. Here is my testimonial. I was kinda skeptical about getting a bike fit when the shop already gave me one after I purchased my bike. My only regret is that I wished I had learned about Coach Kameel sooner and about getting a proper bike fit! Knowing what I know now, I would have saved myself pain with numbness and tingling in the saddle and would have been a much more efficient cyclist sooner. I experienced a 2.5 mph improvement almost instantly after the fit and I definitely notice more power in the legs with climbing the hills. My cleat placement and seat height was adjusted which helped with generating power as with the handlebar and hood positioning. If you are going to spend good money on a expensive road bike or tri-bike, a proper bit is definitely worth the money and investment! I enjoy my bike even more because I feel so much more efficient on my rides. 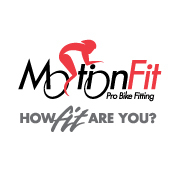 Stop wasting time and wondering if you should pay money for a bike fit, get it done! It will make you enjoy your bike and appreciate what it can actually do!